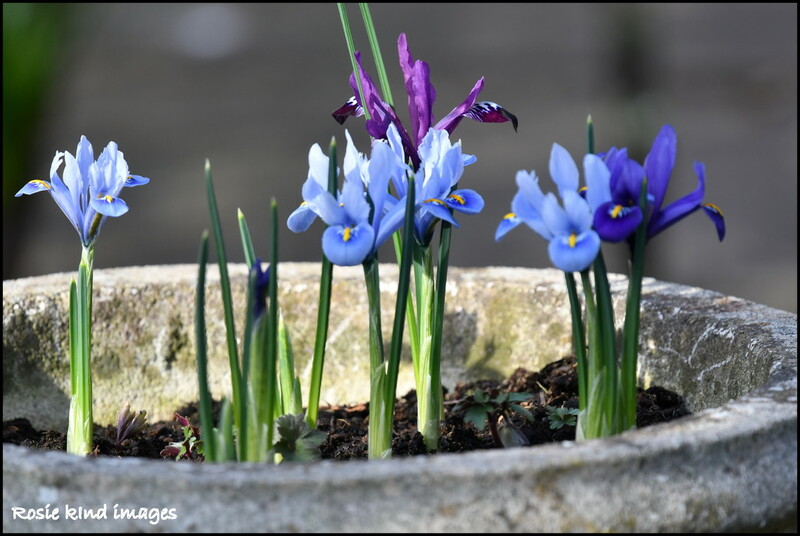 It is really warm here today and the irises that I planted in my tubs are enjoying the sunshine. They look fabulous, lovely shot! Delightful to see the spring flowers emerging ! Lovely shot and so nice to see a sign of spring. Tiny iris - so very sweet and with that wonderful iris blue! Nice capture. Yeah, everything is starting to bloom out here also. Looking very good, very glad that spring is beginning for you.